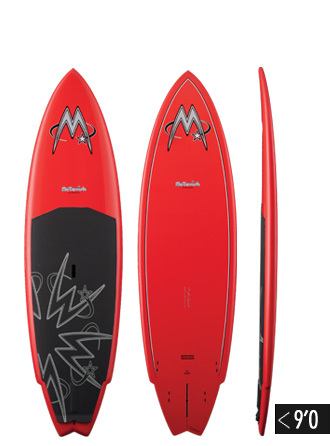 The 9'0" SUP is the performer in the McTavish SUP range. The template is narrow in the nose and features a single flyer tail template, which narrows the tail width, as well as providing a pivot point right under your feet. This one is all about performance.